I’ll keep my remarks brief for this newsletter. Simply put, I want to call your attention to two updates that are important to our community. School safety: This post describes our past and current steps to promote safety. 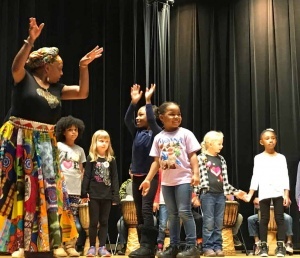 It also includes an update from the Charlottesville Police Department, which on April 30 will start staffing a new elementary-based school resource officer to deepen the connection with our elementary communities. School facilities: This post reflects back on what we heard from the community this winter and spring as we began a conversation about our growing enrollment and its impact on our facilities. Thank you for engaging with us on these and other topics. We appreciate your partnership for the safety and education of our students, and for the health of our community. 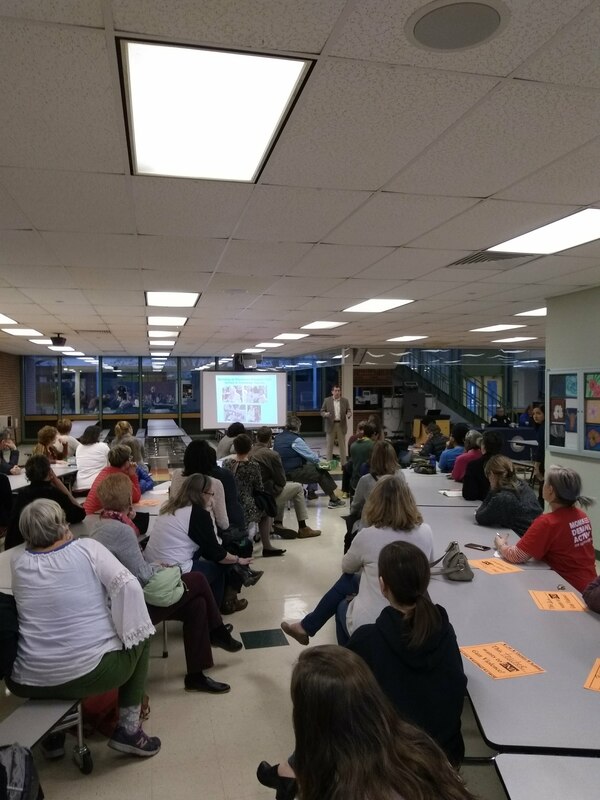 This spring, Charlottesville City Schools hosted two important events relating to school safety. A community forum for parents and teachers featured comments from national school security expert Dr. Dewey Cornell, Police Chief Thierry DuPuis, and Assistant Superintendent Kim Powell. To see a recap, click here. The schools also co-hosted a “Trauma in the Context of School Safety” forum along with regional partners who are creating training and awareness opportunities to support coordinated, trauma-informed practices in our schools and community agencies. Finally, just this week, Del. David Toscano visited Greenbrier and CHS to glean staff and our community partners’ ideas about school safety for Virginia’s new House Select Committee on School Safety. Thank you for keeping your student cafeteria accounts current. Families recently began receiving automated phone, email, or text alerts through School Messenger when account balances reach -$10. If you want to modify how you receive messages from us, log into PowerSchool and change your “contact manager” settings. Renovations are underway for the track at CHS. These improvements will allow the CHS track teams to resume hosting track meets and will better serve the school’s and the community’s needs. The track will be closed for use until renovations are complete (likely August). Speaking of running, consider coming out for CHS’s annual Band on the Run 5K on May 5, which benefits the band and cross country team. 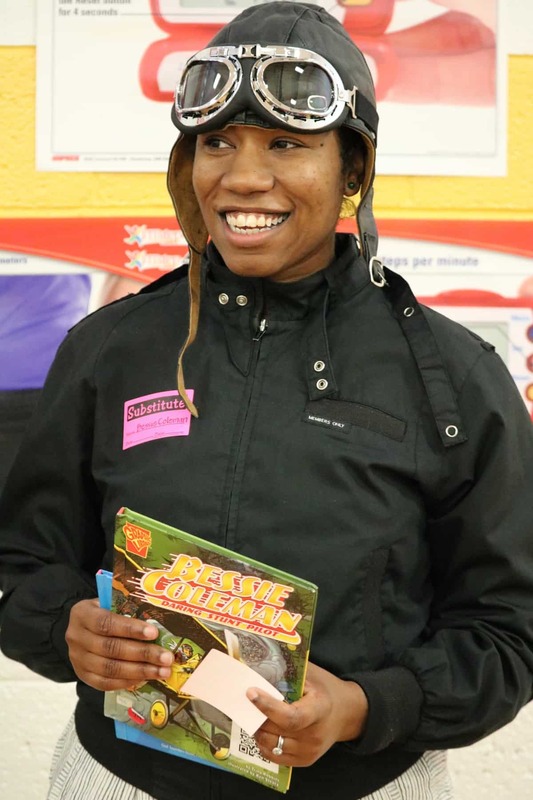 Keep your eyes open for a “Bus Stop Meet and Greet” with book give-aways from family engagement coordinator Velvet Coleman. 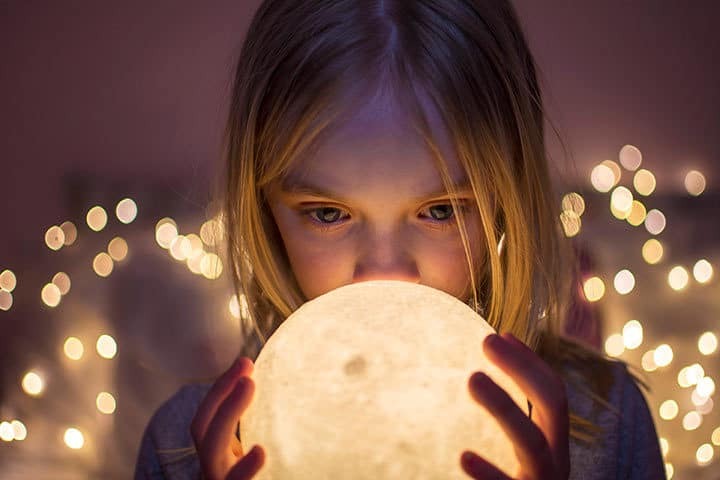 She is also piloting Family Engagement On Demand, a mobile-friendly online tool that gives you great ideas and resources to support your child in the classroom. The School Board named James Bryant, a Charlottesville Schools alum and long-time employee, to fill an interim Board membership created when Adam Hastings stepped down. Details can be found in “School Board News,” below. Similarly, our division’s work in emphasizing social and emotional learning was highlighted by a report from the Annie E. Casey Foundation. 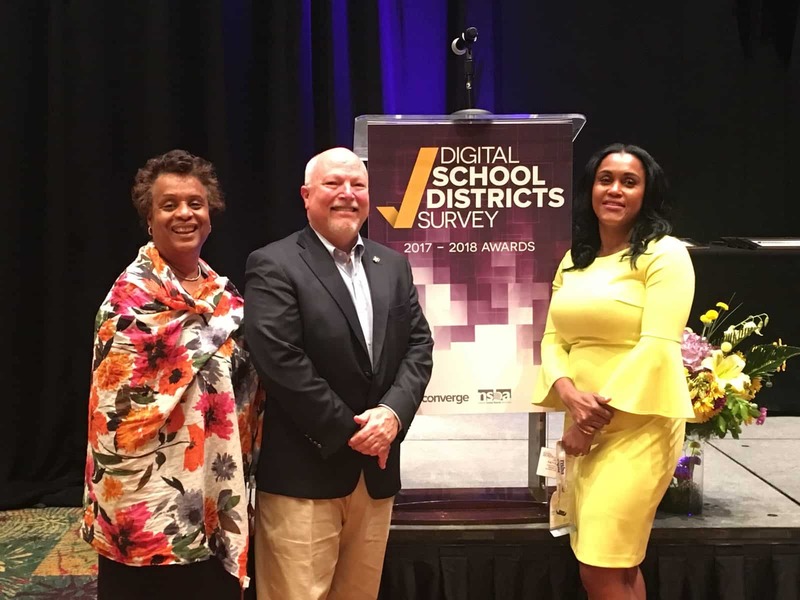 Dianna Poe of CHS’s “WALK” program was honored as the 2018 John L. Snook Child Advocate Award. 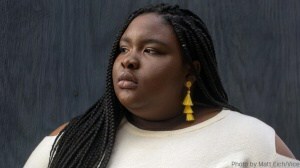 Read more about the inspirational work of Ms. Poe and the WALK program here. Assistant principals Ryan Devlin, April Douglas, Dina Fricke, and Brad Taylor successfully completed the 13th School Leaders Institute for Recently Appointed Administrators (RAA) program offered by Virginia Tech. A powerful Clark duo–Principal Anna Isley and Instructional Coach Elizabeth Korab — presented successful leadership strategies at the conference of Women Education Leaders in Virginia. Cecil Thompson, Coordinator of Administrative Support Services, visited neighboring schools as part of the Alpha Phi Alpha Fraternity’s NextGen Project to enlighten, empower, and encourage youth through reading and excellence. Patrice Harris of Greenbrier was named 95.1’s Teacher of the Month for March. Alisha Demchack of Burnley-Moran qualified for the World Booktalk Championship! 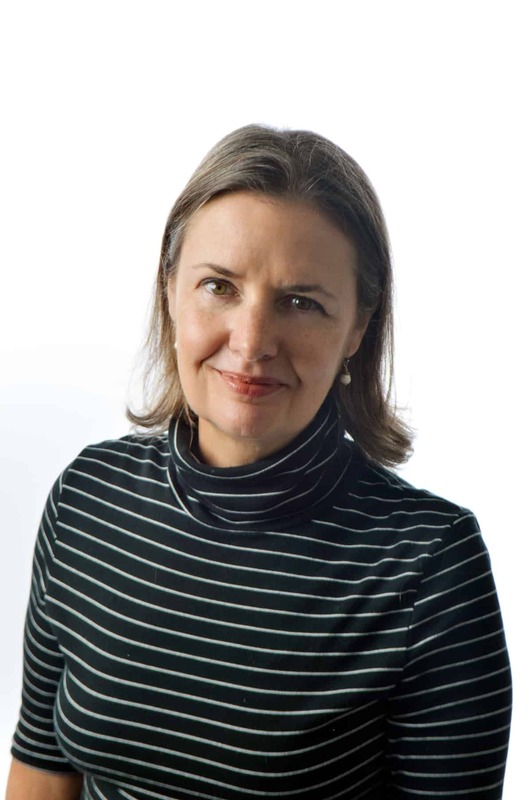 To see her her “30 Second Booktalk,” click here and (start video at 5:34). Welcome Adam Hastings as Walker School’s next principal! And Art Connections featured more than 2000 works of student art from all schools, including high-tech Virtual Reality art. Visitors could even become a human spirograph. and CHS engineering students developed an automated attendance tracker. 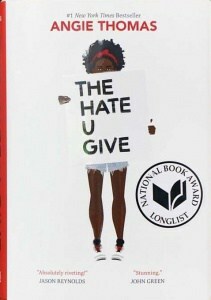 Schools across the division enjoyed speakers through the Virginia Festival of the Book. For some of our elementary students, the highlight was meeting UVa alum, astronaut, and author Leland Melvin. Thirteen Charlottesville students were Bus Stop poetry winners, responding to this year’s theme of “Peace and Justice.” Look for the following students’ work on a bus near you: W. Kahwaji (Burnley-Moran); U. Rai, A. Morrison (Greenbrier); N. Becker-Mantanbault (Jackson-Via); Ms. O’Brien’s & Ms. Lee’s classes (Venable); V. Santiago, P. Thompson, J. Weilar (Johnson); Q. Connaughton (Walker); M. Saxon-Green (Buford); Z. Bryant, J. Emery, I. Crickner, F. Newman, L. Keesecker, & D. Rimm-Kaufman (CHS). Buford, Walker, and CHS parents and guardians are invited to take a survey about college-level classes sponsored by the CHS PTO and Counseling Department. The survey is part of a national conversation about college prep and high school stress. 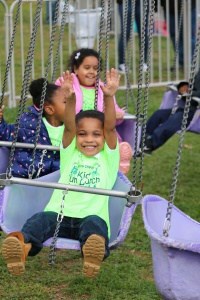 PreK students enjoy the Dogwood Festival carnival swings. 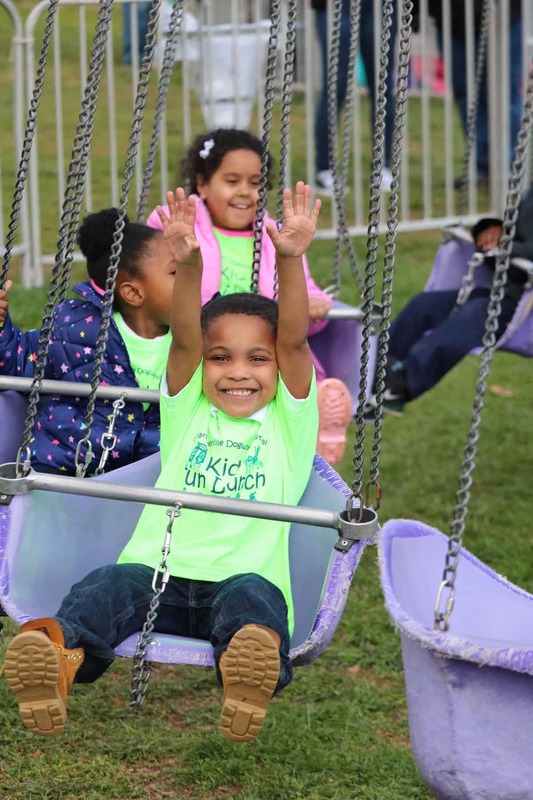 Our preschool students were treated to a fun and free day that included carnival rides, games, and a pizza picnic lunch thanks to the generosity of the Charlottesville Dogwood Festival and other sponsors. Find more (adorable) photos here. A movement is underway to honor a beloved Johnson student with an accessible community playground! To learn more about this tribute in memory of Bennett McClurken-Gibney, click here. Students at Walker prepping for the races. Fourth-graders at all schools prepped mini derby cars for a first-ever City competition hosted at CHS. 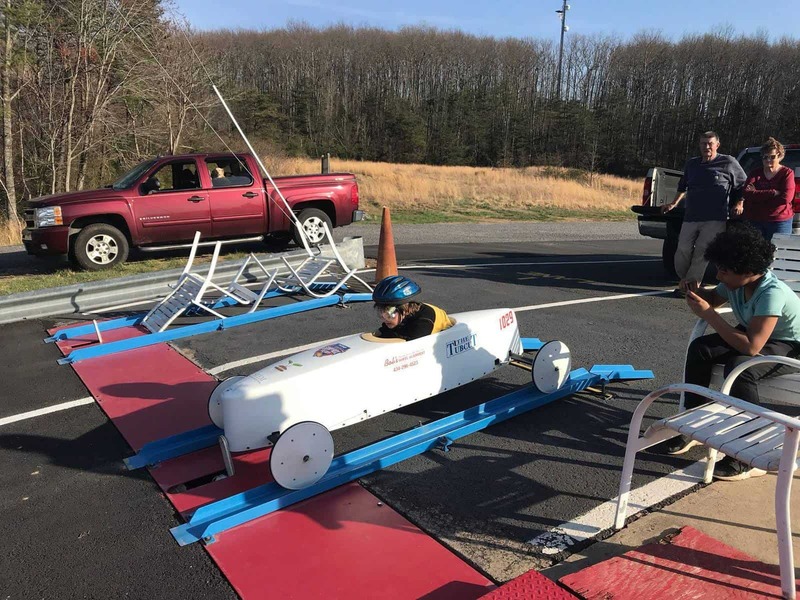 CHS winners qualified to compete in Culpeper, where Burnley-Moran student Harry Shullaw won the mini-derby race and Walker student Hazel Conklin won the stock car division! 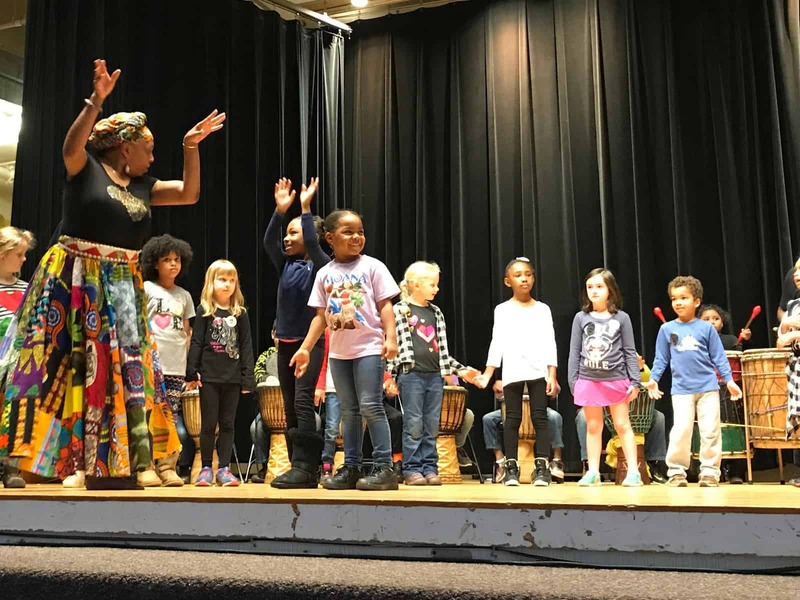 Students enjoy the African drumming and dancing on stage at Burnley-Moran. Like all of our schools, Burnley-Moran honored African-American history month, but they pulled out all the stops, with a history gallery, an African dance demonstration, and a vibrant career fair populated by African-American leaders throughout the Charlottesville community, many of whom are CHS alums or connected to Charlottesville City Schools. 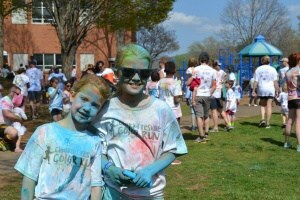 Color participants enjoy the Burnley-Moran Color Run. Burnley-Moran also hosted its second one-mile family color run for more than 400 runners! After reading the novel Inside Out and Back Again, Clark fourth-graders extended their learning with a guest speaker from the International Rescue Committee of Charlottesville. Immigrants and refugees are an important part of our Charlottesville and Clark community! Expecto patronus! And expecto beautiful art! 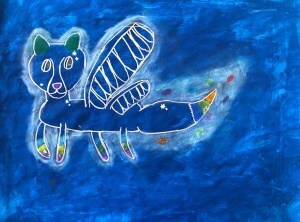 Greenbrier fourth graders connected art and literature by creating Harry-Potter themed animal portraits. In addition, fourth-graders who met their academic goals got to celebrate their growth with a good old-fashioned pie-the-principal day. Students rocked the annual “Jackson-Via’s Got Talent” show, and on a different night, they donned their pajamas for a well-attended “PJs and Popcorn” night in celebration of math and literacy. Bessie Coleman visits Venable School! Johnson’s fourth-graders enacted their annual wax museum of historic figures who come to life for visitors. Henry “Box” Brown, Sacagawea, Alexander Hamilton, and many more were on hand to tell their stories. Younger social studies scholars created their annual Not-Quite-the-Fourth-of-July Parade, donning costumes such as the Statute of Liberty or the American flag to learn about our country’s symbols. Hazel Conklin ready to race at the regional soapbox derby . Walker student Hazel Conklin won the stockpile division at the regional soap box derby in Culpeper! She was assisted in this STEM project by Troy Brown, Elias Garcia, and Oliver Jackson (not pictured). Congrats also to their advisor, iSTEM teacher Chris Chamberlin. Hazel has qualified to compete in the Local Masters Race this June, also in Culpeper. Students Hallie Goode and Allie Floyd have been awarded the Red Cross Youth Heroes Award for our region for their kindness and persistence in helping and befriending Walker’s functional skills students. 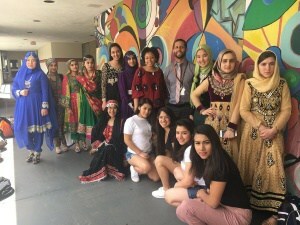 Way to model kindness and inclusivity, girls! 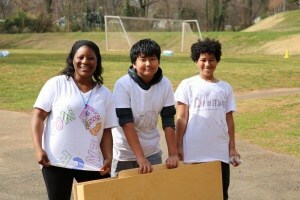 Ms. Washburg and students enjoying the Confidence Carnival at Walker School. This spring, Ms. Washburg and Ms. Woods’ 6th grade classes collaborated to host the Confidence Carnival! Positive affirmations, games, face painting, and a visit from a UVA Women’s Basketball player made for a great morning! 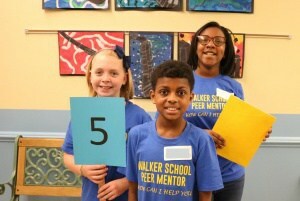 Walker peer mentors prepare to give tours to future Wolverines. 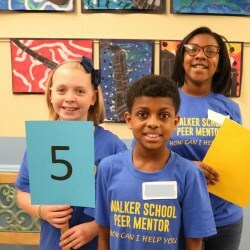 Peer mentors at Walker not only welcomed the City’s fourth-graders for a visit, but they even wrote personalized letters to each student (delivered at the elementary schools) to express greetings! 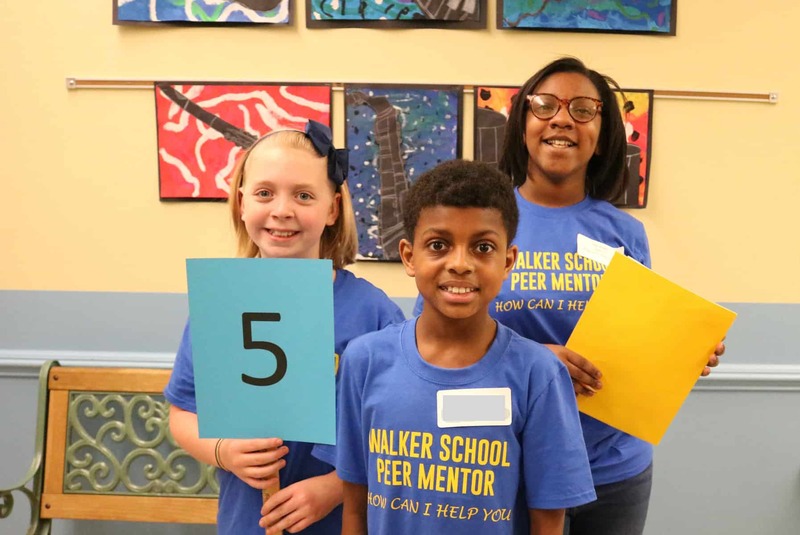 The 3rd annual AVID College and Career Night at Walker brought many families and community representatives to the school for a fun-filled evening helping students peer into the future. “El Espectaculo!” at Walker was spectacular. Fifth-graders in the event showcase what they’ve learned across the curriculum in the Elementary Spanish program. Here’s a nice recap: http://bit.ly/2Hs6RwT. 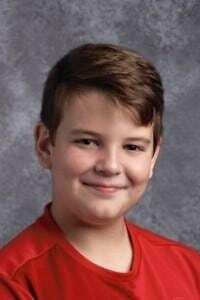 Aidan Peters qualifies for VA State Geography Bee. Buford’s Aidan Peters qualified to compete at the VA State Geographic Bee at Longwood University. Amanda, Eleanor, Ella, Emma, Harriet, Niharika, and Saba represented Buford in the History Day regionals at UVA! Ella and Emma will represent us at the state finals! The Buford Middle School Orchestra earned a Superior rating for their beautiful performance at the District Orchestra Assessment. 17 Buford orchestra students made the 2018 Junior Regional Orchestra while 14 band students made the All-District Band—more than any other middle school in the area! 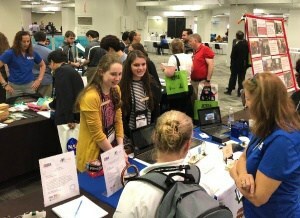 Buford students present at a STEM conference in Atlanta. Buford’s Abby Paquette and Elisabeth Scharf shared their experiences in the Foundations of Engineering and Engineering 1 classes at the International Techology and Engineering Educator Association in Atlanta, GA.
Buford students performed well in the Virginia Mathematics League Contest–the 7th grade team came in fifth in the league and fourth in the region; Christian Millard was ranked in the top 35 7th graders in the league; The 8th grade team came in fourth in the league and third in the region; and Camden Baucom was ranked in the top 35 8th graders in the league! 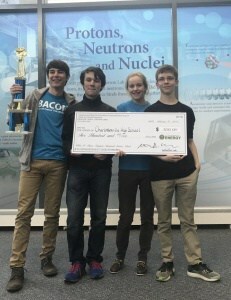 Buford MathCounts team places 2nd in regional competition. 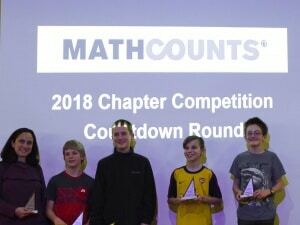 In other math news, the Buford MathCounts team finished 2nd in regional competition. Buford student Miya Anderson participated in the 29th Annual African-American Read-in on Sunday, February 18, 2018 at Buford Middle School. Students read excerpts from their favorite books and poems to celebrate Black History Month and African-American literature. 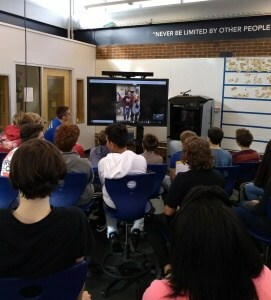 Buford engineering students get a virtual tour of MIT from the BACON students. 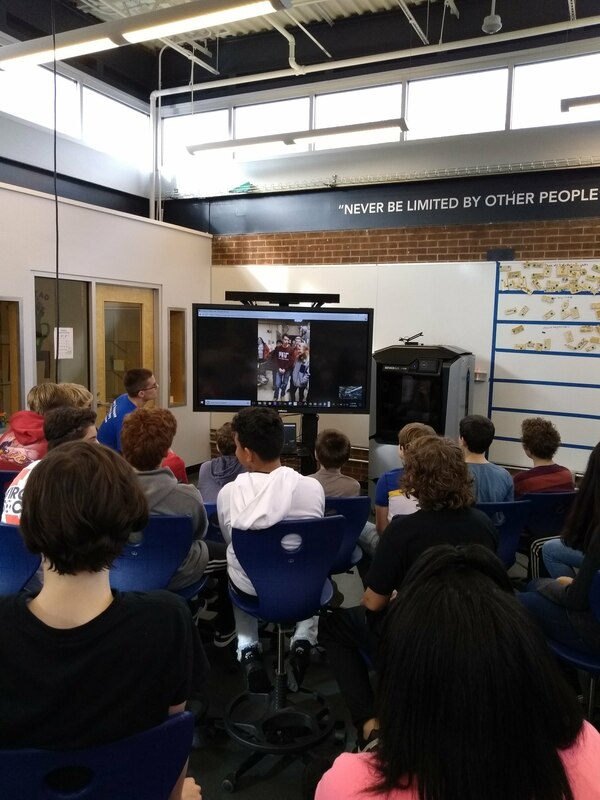 Engineering 1 students at Buford Middle watched a live virtual tour of MIT let by the CHS BACON Zero Robotics team. The tour gave these 8th graders a glimpse into what opportunities are ahead in the Cville Schools iSTEM program! Eight Buford girls participated in the Girls Excelling in Math Tournament run by the Village School. The 8th grade team of Abby Paquette, Lidia Shimer, Lucy Armengol, and Sylvie Bon-Harper finish is 1st place and Abby finished 2nd overall as an individual. 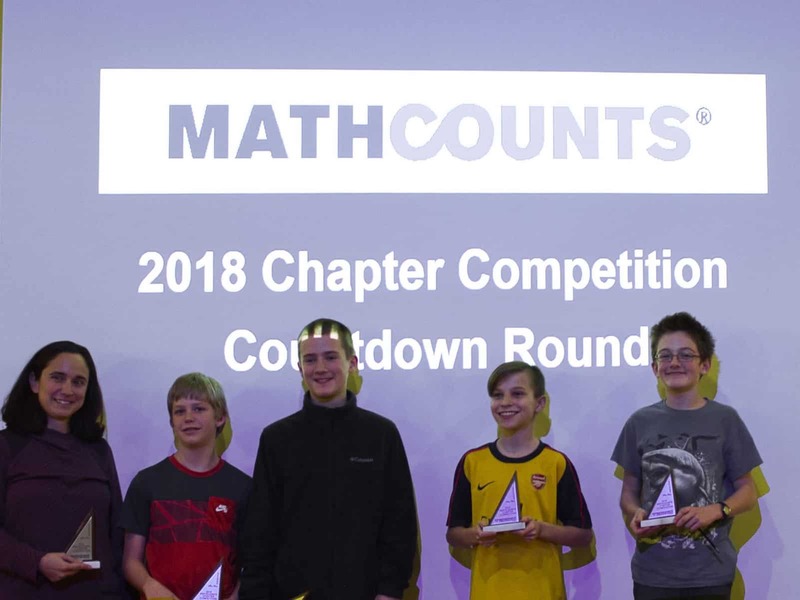 The 7th grade team of Sarah Burns, Vicky Gonzalez, Elie Lewin, and Lowell Tolton finished in 2nd place and Sarah finished 5th overall as an individual. Buford students present project at Public Education Foundation Luncheon at the Boar’s Head Inn (not pictured, Sara). Congratulations to eighth grader Silas McClellan who correctly spelled “subterranean” to become the 2017-18 school spelling bee champion for Buford Middle School. 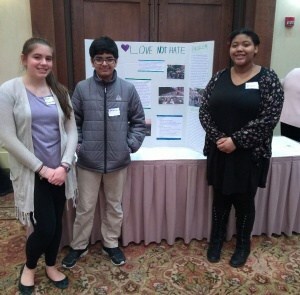 Buford Middle School civics students Abby, Jaimin, and Kaia presented their project “Hate Speech vs. Right to Assembly and Free Speech (Permit or No Permit)” at the Public Education Foundation 2018 Luncheon at the Boar’s Head Inn. 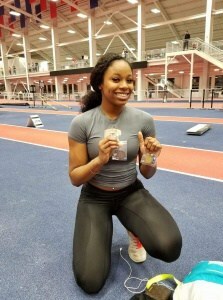 Zyahna Bryant; Photo credit Matt Eich. Junior Zyahna Bryant was selected as the winner of the 2018 Princeton Prize in Race Relations (DC Region) and the Harriet Beecher Stowe Center’s 2018 Student Stowe Prize! PC: Matt Eich. On February 13, CHS hosted a ribbon-cutting to celebrate a new partnership, the CHS/CFA Institute Finance Academy. The partnership supports financial education and cultivates interest and awareness of the investment profession. The CHS/CFA Institute Finance Academy will impact three programs at CHS: the Student Investment Group (see next item! 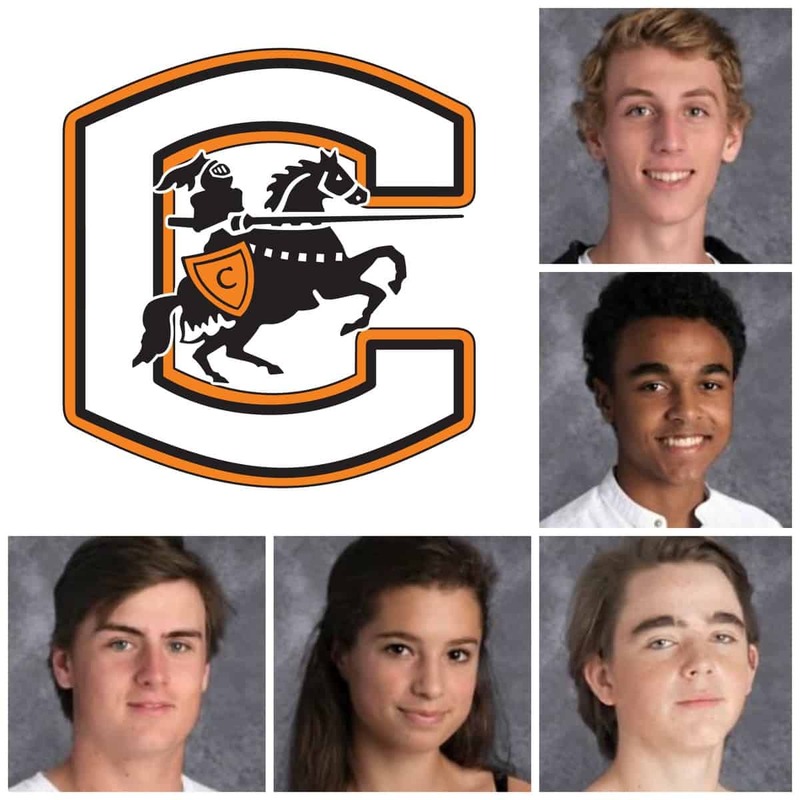 ), the AVID program (including a business-style renovation of the AVID seniors’ classroom, and the economics and personal finance classes required of all CHS students. For the second time in three years, the CHS Student Investment Group (SIG) is one of six American finalists in the University of Pennsylvania Wharton Global High School Investment Competition! The team will join others from the U.S., China, India, Brazil, Norway, Canada and the United Kingdom in Philadelphia at the Wharton Business School in May. Team members are Lucas Higgins, (SIG founder), Cole Fairchild, Whit Rudder, Maya Block, and Hunter Randle. SIG receives support through our partnership with CFA Institute. A number of Black Knights participated in Charlottesville’s first Next Gen Peacebuilders program, sponsored by the Charlottesville Rotary Club. CHS debaters won state competition and qualified for nationals! To read more, click here. CHS debaters won state competition and qualified for nationals! 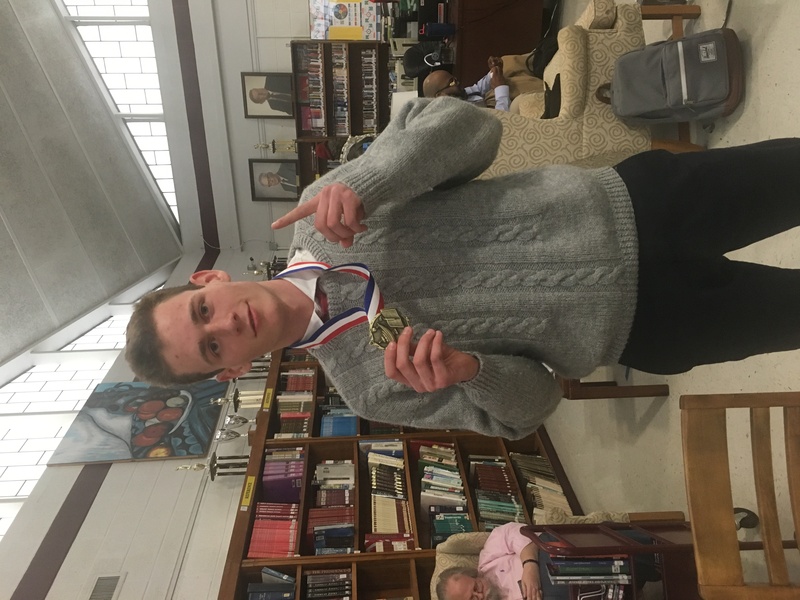 Fré Halverson-Taylor & Owen Fernandez took first place in Public Forum (4-0) while Junior Dani Szabo went 4-0 and placed 2nd in the Lincoln-Douglas category. Overall, CHS won 3rd Place Sweeps. Altogether, we had 11 qualify for states and 9 participated. 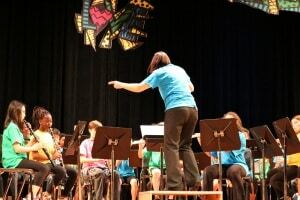 Congrats to all students for their amazing performances: Julianna Brown, Cole Fairchild, Ellie Detert, Lena Keesecker, John Emery, Alyce Yang, Evelyn McKenney. Just prior to the VHSL Super-Regional Tournament, our qualifier, Cole Fairchild, had a family emergency. Alternate Dani Szabo stepped in the day before and came up with an upset win! 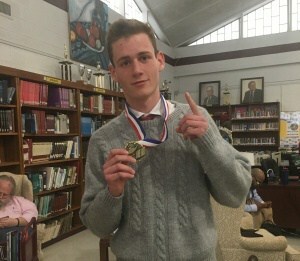 Since his speaker points were so high (a perfect in the final), CHS also took 2nd place sweeps, an almost impossible feat with a single debater. At states, he was part of a three-way tie for 2nd! A contingent of CHS students spent a day at the Jefferson School African-American Heritage Center, working with the Cville Youth Council to make meaningful change as part of the community’s “Dialogue on Race.” For more on this important conversation, click here. 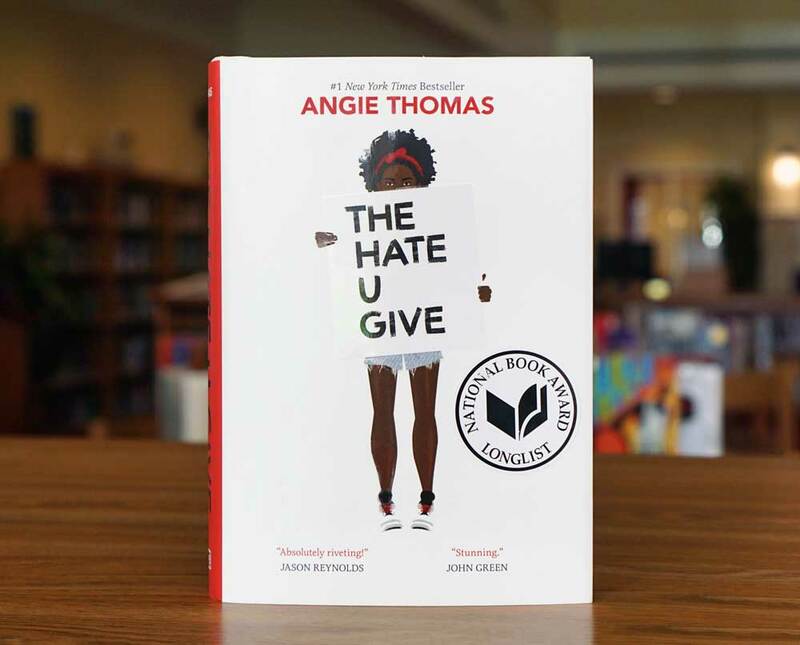 Other CHS news related to this topic includes area high schools’ “Big Read” of The Hate U Give, which was read by CHS 9th-graders, who also participated in a group forum led by UVA professor and CHS parent Lisa Woolfork. 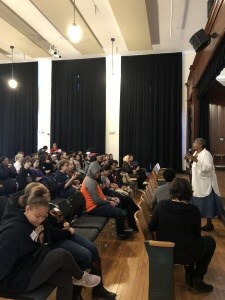 In addition, throughout February, a series of community speakers offered opt-in presentations to students for Black History Month, which concluded with the school’s annual assembly. This year’s assembly speaker was Rashard Davis ’16, winner of a 2018 Super Bowl Ring with the Philadelphia Eagles! The number of students enrolled in honors courses at Charlottesville High School is up 21 percent this year, with increasing diversity. This is in part due to greater use of “honors-optional” classes that allow students within a single class to elect assignments and readings that qualify for honors credit. For Charlottesville Tomorrow’s reporting on this progress, click here. CHS BACON: state and global qualifiers in Zero Robotics, FTC Robotics, Science Olympiad, and more. Click here for more. After qualifying for the international finals of the elite programming competition Zero Robotics (again), team leader Jonah Weissman received special recognition for developing a github interface for version control. As they prepped to send up their first satellite, the BACON ThinSat team toured labs at UVA today, including the Aerospace Engineering department. Not only did CHS host the regional Science Olympiad tournament, but students also brought home (OK, they already were home) a team trophy. Jamie Nachbar and Clara Stelow earned 3 medals each! 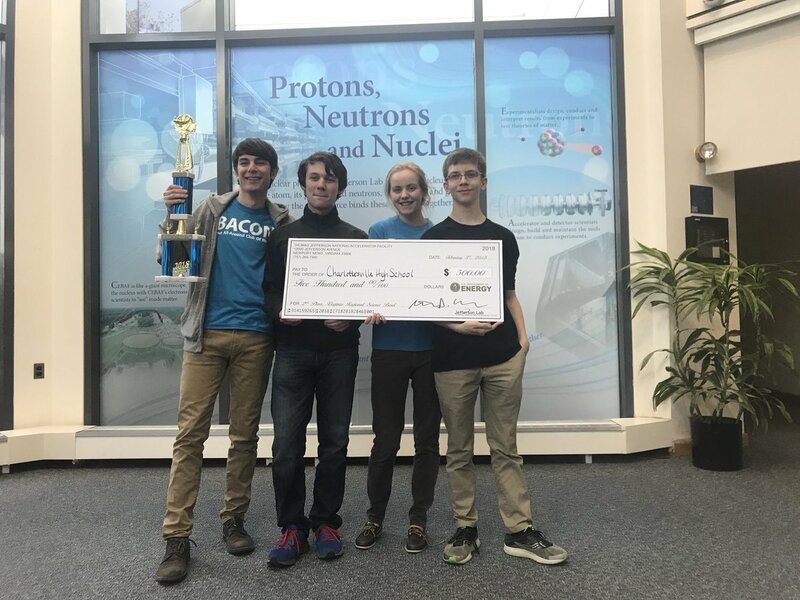 BACON came in 2nd place in Jefferson lab’s state Science Bowl competition, losing only to governor’s school and perennial champ, TJ High School for Science and Tech. Seeing a need, students are creating an ID scanner to record when students come into the building. Their software is software ready for testing, and hardware in development. Look for the prototype! Fine arts acclaim in music, visual arts, creative writing, theatre! Click here for more. An ELEVENTH Blue Ribbon for all-around excellence in band, choir, and orchestra. High Schools ear blue ribbons from the Virginia Music Educators Association when all three of the schools’ top performing groups earn superior ratings (the highest possible). 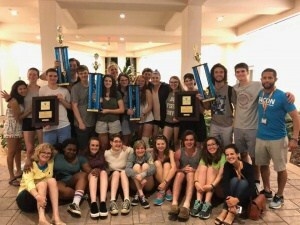 Orlando Music Festival Excellence: It was a clean sweep for the CHS orchestra, as they claimed first place in the gold division for both 2A and 3A competition, PLUS the outstanding orchestra award, two adjudicators awards, and the instrumental sweepstakes award. Then at the airport heading home, the orchestra was invited to give a command performance — listen to the NPR story here. State band and choir: Sharon Reitsma, Charlotte MacDonald, Clare Inlow, and Anna Bon-Harper performed with All-Virginia bands; and Adria Cafferrillo, Sarah Garretson, Victoria Kremer, Beau LeBlond, and Parker Nelson repped CHS at the all-state choir. 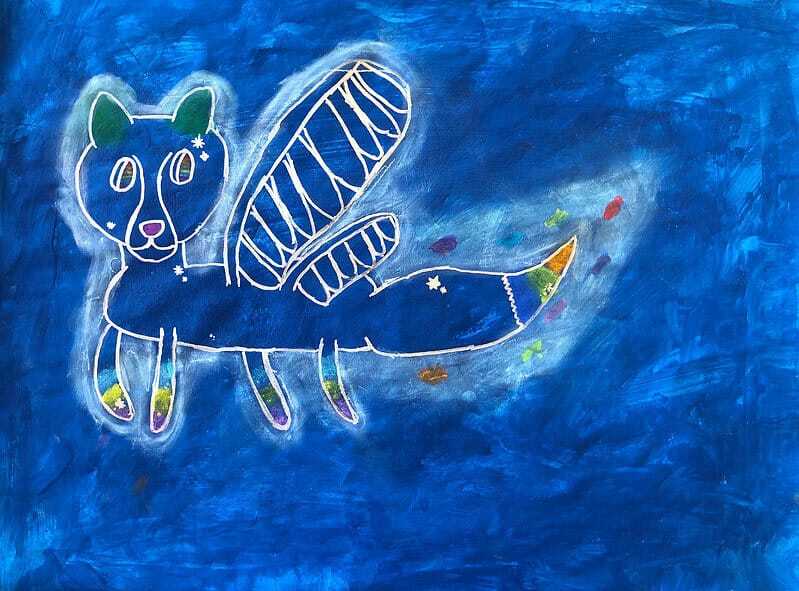 Art awards: Jane Ormsby won third place in the 2018 VA School Boards Assoc. Regional Forum Art Contest; Tiara Strait and Aleena Haidari won awards in the Rumi Forum’s Annual Peace and Dialogue Art and Video Contest. Creative Writing Winners: Seven CHS students were winners in the Mirabella writing contest sponsored by Tupelo Press’s Teen Writing Center: Rachel Beling, Ryan Doherty, Sarah Hale, Fentress Lynch, Alice Owen, Elana West-Smith, and Gabe Yeargen. Their works will be published in an anthology. 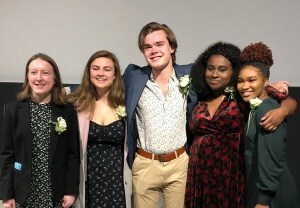 Rising Star Awards: Congrats to the CHS winners of the Arthur C. Greene Rising Star Awards: Rachel Beling (Poetry), Ashley Clark (Creative Writing), Kiki Dowell (Theatre), Parker Sullivan (Choir & Orchestra), and Deveny Watson (Visual Art). 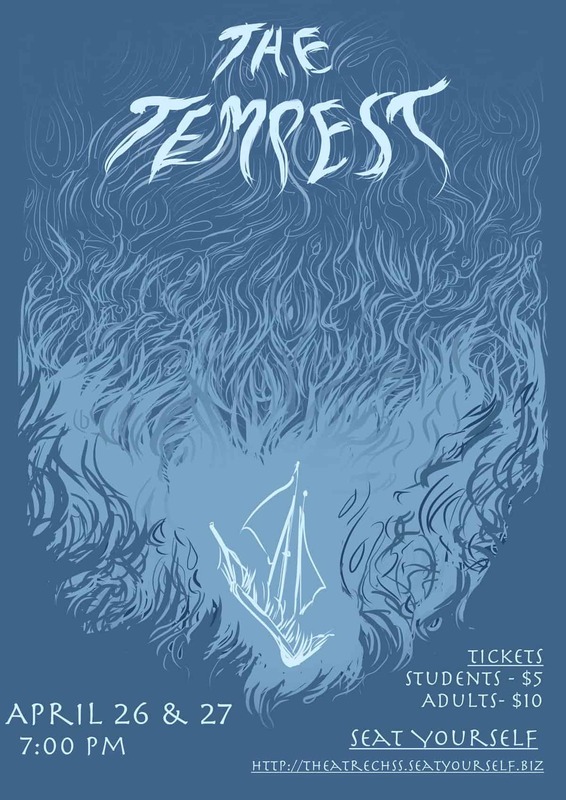 After Theatre CHS’s stellar spring musical (South Pacific), the program goes quiet, right? WRONG: Next up? 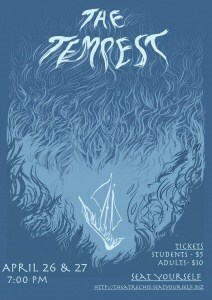 The Tempest on April 26-27, to be followed by a host of year-end performances such as Dessert Theatre. Plus, broadway performer Deon Ridley spent a day leading CHS theatre classes! 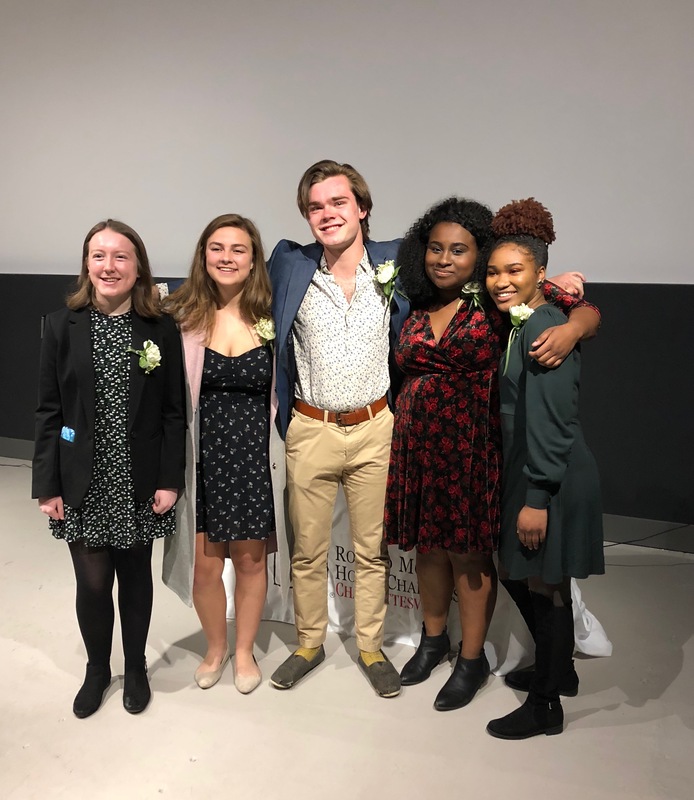 Congratulations to Margaret Lather, Ella Harrigan, and Florence Pinkston, who took 1st, 2nd, and 3rd place, respectively, in the high school prose category for the UVA Fralin Museum of Art’s Writer’s Eye Contest! 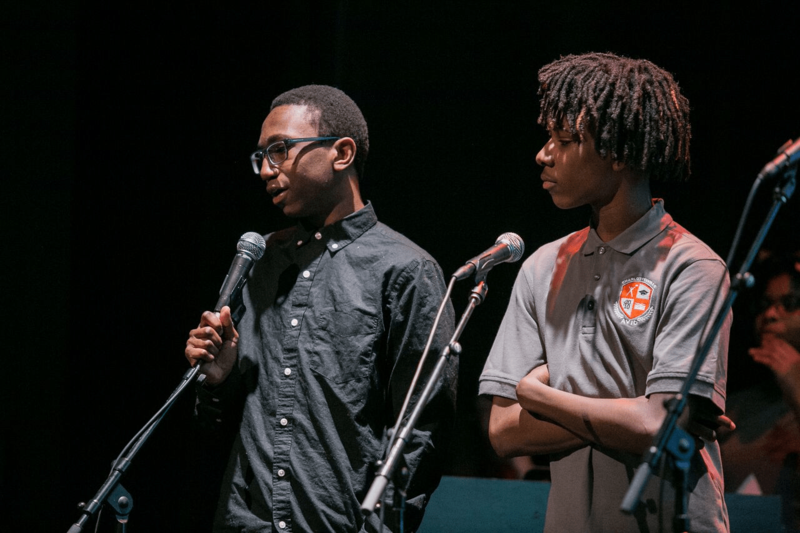 Remember the beautiful and inspirational musical collaboration in August between students from CHS and Nashville? (If not, get a tissue and click here now.) CHS choir students recently visited Nashville to reconnnect and perform a new song, written by surviving students from Florida’s Parkland High. Click here for more. Need a verbal hug? Visit the hallways of CHS and read the hundreds of encouraging post cards sent to Charlottesville students from people all over the world. Thanks to Big Brothers and Big Sisters of the Blue Ridge for your efforts to promote positivity through this #DearYoungPerson campaign. The CHS Model United Nations delegation met with a team of real-life ambassadors at the Nigerian Mission in New York while they attended the National High School Model United Nations, the world’s largest UN conference. 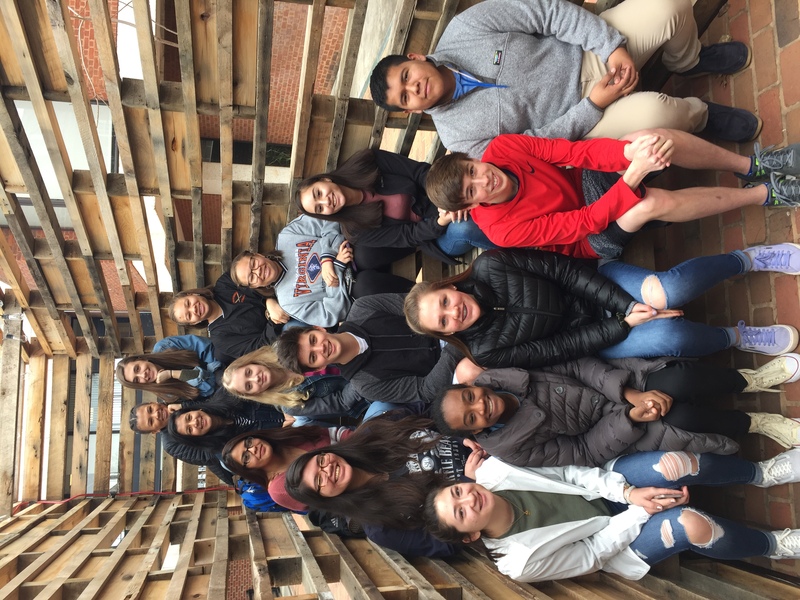 Spanish IV and AP students recently visited the UVA School of Architecture. Students toured the A School & heard from students who had studied abroad in Barcelona. 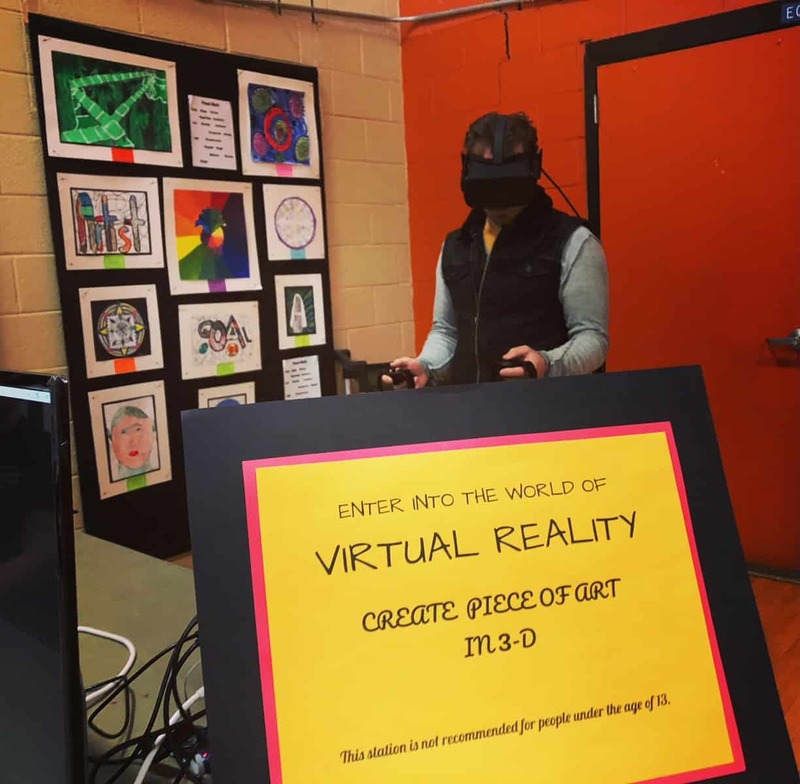 Traveling the globe with virtual reality…. CHS students took a trip with GoogleVR to the Hagia Sophia in Istanbul. AVID students visited CFA Institute to learn more about their work and careers in finance. Art students visited Second Street Gallery for a workshop. 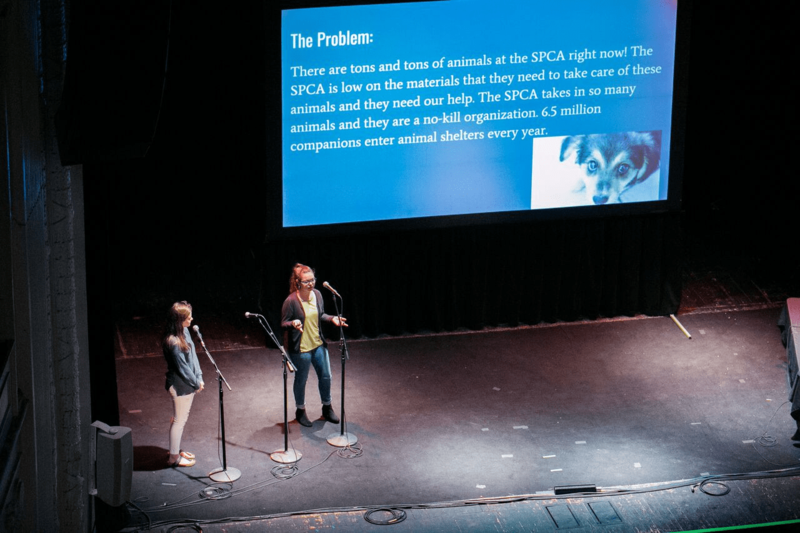 CHS students in general — and AVID students in particular — have had a host of opportunities to pitch ideas and present research. Biology classes participated in a student symposium co-hosted by the UVa Medical Center. CHS students’ research was guided by medical professionals. 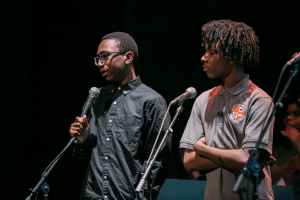 AVID students pitched community solutions — and received $10,000 to support them! — at CFA Institute’s Project SERVE. This pitch event is one of many ways that the new CHS/CFA Institute Finance Academy is promoting real-world skills and financial literacy. CHS students presented a wide range of ideas at the Tom Tom Founders Festival. 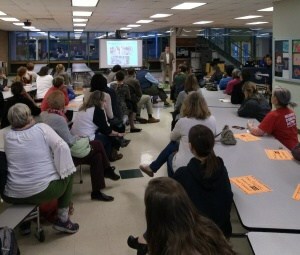 Topics and presentations included BACON, AVID’s Project SERVE winners, City Schoolyard Garden, AP Psychology, and more. Students from CHS’s Becoming a Global Citizen class pitched their customizable t-shirt business at the TomTomFest Youth Summit – and won! AVID students also presented their Project SERVE ideas at the Public Education Foundation luncheon. 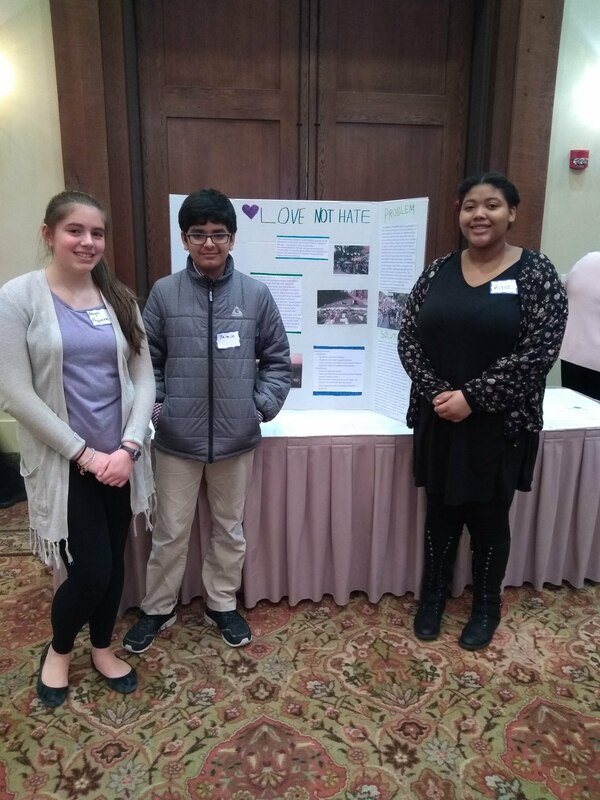 Lugo-McGinness Academy students shared their stories and student perspectives on alternative education experiences during a round-table event for representatives from Newport News Public Schools who came to learn about the success of the program. CHS celebrated its students’ commonalities and differences with another beautiful Diversity Assembly this March. 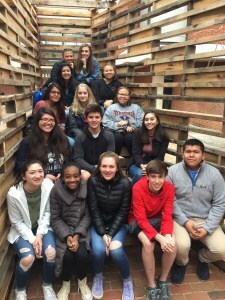 CHS Urban Farming & Entrepreneurship class is preparing for the spring with a student-built chicken coop to host the newest and smallest CHS Black Knights! The CHS Amnesty Club hosted a “Hunger Banquet” to raise food, money, and awareness of local and global hunger issues. 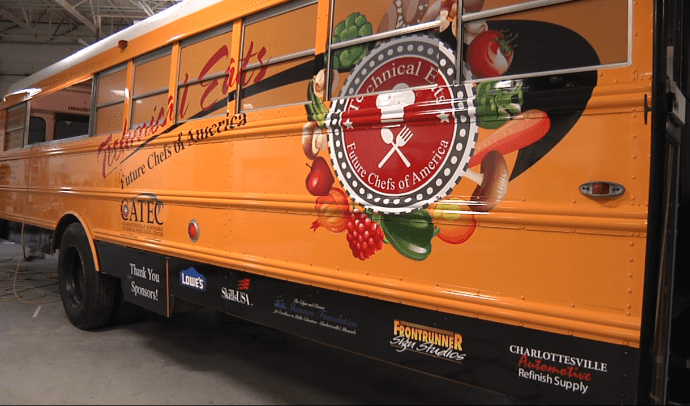 CATEC students debuted their school-bus-food-truck called “Technical Eats” during the Tom Tom Founders Festival’s Makerville Expo, and CATEC student Alonda Clark placed 3rd in the Skills USA competition for Nurse Assisting. CHS AVID students organized a “Food for Hoops ” community 5v5 basketball tournament at Tonsler Park. Jerry Harris, Kajesha Taylor, and Jaquan Wood put in the organizational work and even paid for the event’s catering! CHS athletes have been winning in sports AND sportsmanship! For more sports news, click here. CHS athletes have been winning in sports AND sportsmanship! CHS received a sportsmanship award from VHSL after the winter season since the school has had no player or coach ejections in the first two sports seasons. Thanks for keeping it classy! And spring athletes, let’s keep it going! 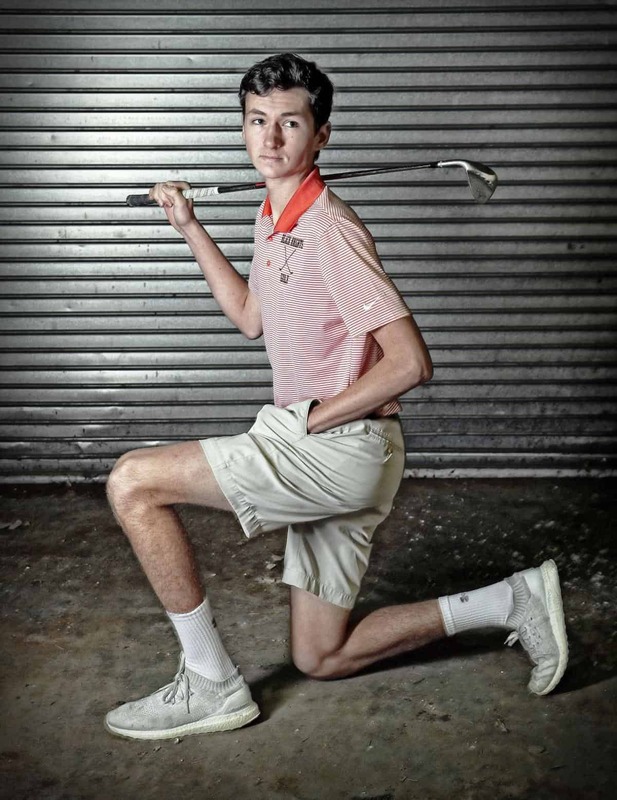 Senior golfer AJ Stouffer was named the Newsplex’s athlete of the week in March. Among other district and regional honors, Stouffer won this year’s community-wide Charlottesville City Championship, the youngest champ in its history. The CHS softball facility continues to see improvement. Last winter, new dugouts were erected, and this year a new infield is being installed along with a new sound system courtesy of Crutchfield. A special thank-you to the City of Charlottesville and Parks and Recreation for aiding us in this process. Similarly, CHS Baseball’s facilities have seen major upgrades over the last few years thanks to the school’s partnership with the Tom Sox of the Valley Baseball League. Five football players made commitments to continue their athletic and academic careers: Trejon Bryant (Glenville State), Rakeem Davis (JMU), Larry Henderson (Glenville State), Sam Neale (Washington & Lee), and Jake Poe (Hampden Sydney). Ella Reed and Zoe DeGuzman both qualified AND PR’ed at the Class 4A VHSL State Swim Meet. Ella dropped more than a second off of the 100m breaststroke, and Zoe dropped nearly 5 seconds off of her 200 m free. Girls and boys basketball both completed fine regular and post-season runs before ending in round 2 of regional play. Senior track athlete Kennedy Wardlaw qualified for states after placing 3rd in regionals in the triple jump. Senior Isaac Kenner was named to the All Central Virginia Wrestling team, the first Black Knight to be so named since Wade Kammauff four years ago. Football’s Rashard Davis ’12 earned a Super Bowl ring with the Eagles (and came back to serve as the speaker at the CHS Black History Month assembly). Golf’s Emmy Timberlake ’16 won her first college golf tourney this spring. She shot a 77 to earn medalist honors for Dennison U. in the rain at the Wooster Spring Invitational. Field hockey’s Kendall Ballard ’16 (Ohio University) played on Team USA when they recently scrimmaged against UVa. Kendall scored the two final goals! CHS counselors led a series of Stress-Less Week activities as the first semester wrapped up. 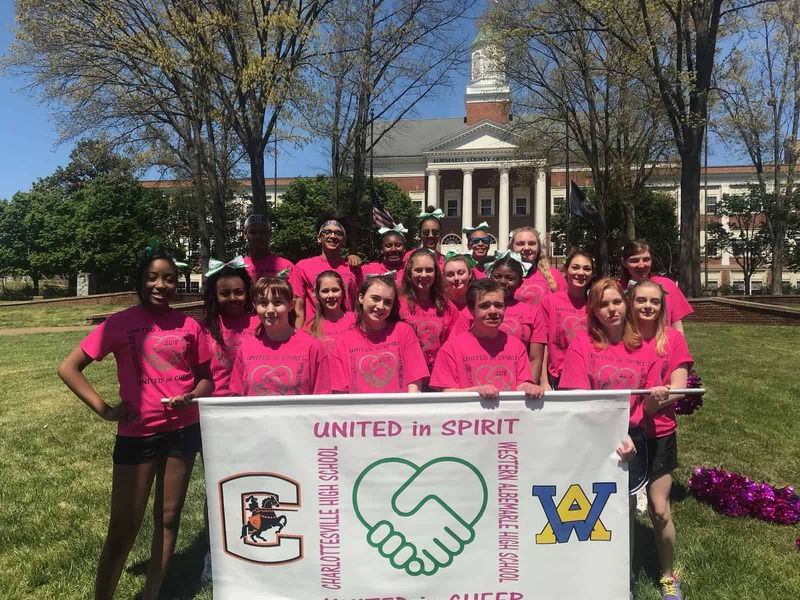 Walking under the banner, “United in spirit, united in cheer,” cheerleaders (and friends) from CHS and Western Albemarle appeared together in the Dogwood Parade. And upcoming: consider coming out for CHS’s annual Band on the Run 5K on May 5, which benefits the band and cross country team. School Board Member Adam Hastings stepped down in March as part of a family move outside the City limits. 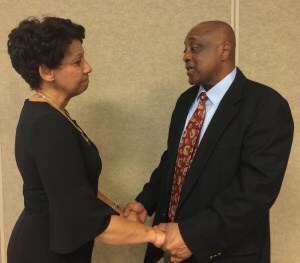 Following the state’s processes, the School Board appointed James Bryant to serve as interim member. Mr. Bryant both graduated and retired from Charlottesville City Schools! For details on this process, click here. Thanks to both Dr. Hastings and Mr. Bryant for their service to the Board! On April 10, the City of Charlottesville approved Charlottesville City Schools’ budget request of $54 million as part of the schools’ overall 18-19 budget of $83.7 million. One of the key features of the budget is support for teachers, with a 4 percent salary increase for teachers and increased salary supplements for teachers with advanced degrees. 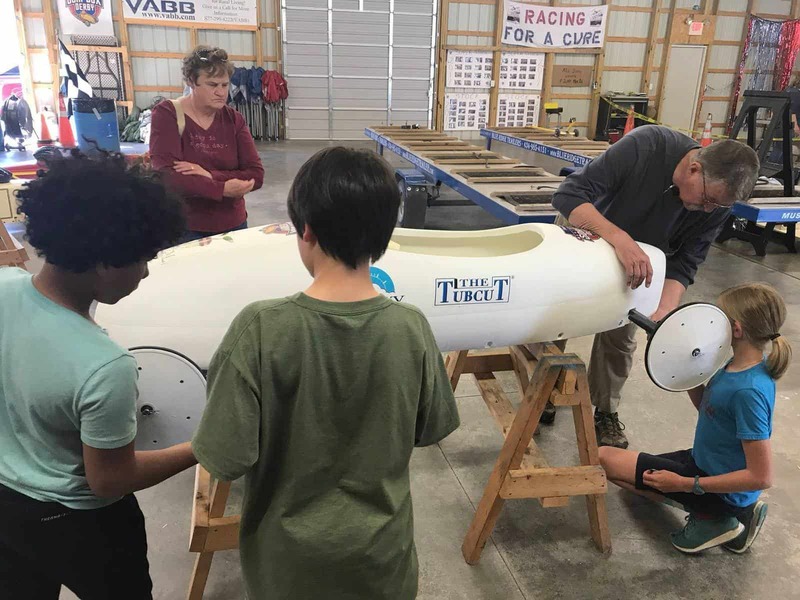 Other new initiatives in the budget call for planning for a specialized academic academy and an internal grant program to support teacher innovations. Discussion of school safety and student-led walk-outs in the wake of the Parkland shootings. For additional information, click here. Art by Sahara Clemons ’18. For sports schedules, check gocville.org.